The beauty and maintenance standard of a lawn is a business card of sorts, both for the entire property, as well as for its owners. That’s why many property owners tend to worry when their lawns look less than perfectly manicured. “What will the neighbors think?” “Does the way my lawn look negatively affect the value of my property?” To spare you from these anxiety-inducing and time consuming questions, we at Green Hill Landscaping have made it our goal to provide the best lawn care in Potomac, VA. Let us worry about proper lawn maintenance, so you don’t have to. Allow us to service your lawn with the best expertise and tools we have at our disposal, while you kick back and enjoy the lush look of your lawn throughout the seasons. Where Can I Find the Best Potomac, VA Lawn Care? Luckily, you’ve arrived at the right place. 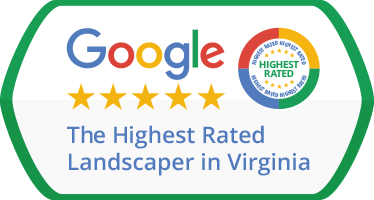 Since Green Hill Landscaping is locally owned and based in Great Falls, VA, we can guarantee we’ve got the specific know-how to care for your Potomac, VA lawn. 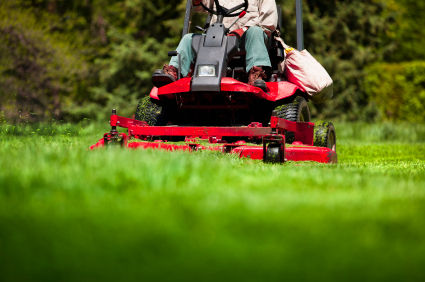 We provide regular lawn mowing services, both to residential as well as to commercial clients. Aside from the ‘simple’ task of mowing your lawn on the regular, we can also assist you with a whole range of specialized services. Our teams of technicians are trained to determine whether or not your lawn requires Lawn Aeration or Weed Control & Fertilization – two services which are best left handled by professionals. You might not know what the best season is for these services. You might find yourself at a loss, when faced with finding and operating the specialized equipment used for these services. We, on the other hand, have been trained to understand what works best for each lawn. Let us take care of yours, too! Aside from the services listed above, we also provide Spring Mulching, Seasonal Flowers, Bed Weeding, Seasonal Pruning, Plant & Shrub Care, Fall Mulching, Aeration & Overseeding, Gutter Cleaning, Fall Leaf Clean Up, Winter Clean Up, Snow Removal, Irrigation Service, Mosquito Control, Insect Control: Ant, Flea & Tick Treatment, Landscape Lighting, Commercial Services, and more. Yet bear in mind that we will never make you pay for a service you don’t require! We are committed to your full satisfaction and always approach each lawn or landscape as unique, with specific requirements and solutions. Our goal is to have you walk away fully happy with the work we put in for you, because no paid publicity can match the recommendation of a genuinely satisfied customer! So give us a call today and find out if we can assist you in fulfilling your Potomac, VA lawn care needs.